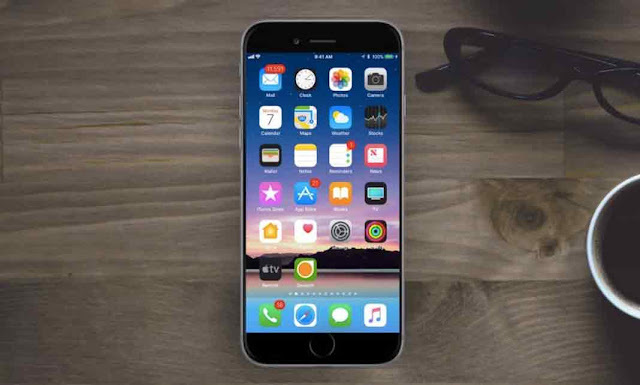 iOS 11 is one of the finest mobile OS that has been launched in the recent times and is full of new possibilities to the iPhone users. If you are iPhone user then you must be aware what we are talking here. In this article, we are going to talk about the 6 awesome features of iOS 11 which will make your life more easier with your iOS device. Your first stop after getting iOS 11 should be Settings > General > iPhone Storage > Offload Unused Apps, especially if space is at a premium. It will automatically delete any apps you don’t use—but it won’t kill the data associated with the apps, so you can always download it again later. However, once you enable it, you can’t turn it off in this same location. Apple, in its infinite interface wisdom, appears to have put the disable option for this under Settings > iTunes & App Store—scroll down and you can see the toggle. Once rendered, you’ll see a little marker icon at the top—tap it to access the annotation tools (the same as you find for annotating a screengrab, right down to the Signature option, which is very handy for PDFs). When you’re done, click Save File To, and you’ll get the option to save to locations in the new Files app, which access all your cloud storage services. Photos and videos take up a lot of space. On iPhone 7 and up (any device with an A9 chip or better), iOS 11 comes with new formats called HEIF (High-Efficiency Image Format) and HEVC (High-Efficiency Video Coding), which can compress media about twice as much and still be easily shareable with the outside world. Yes, that’s a 50 percent space saver. To set up the new formats, go to Settings > Camera > Formats > High Efficiency. To stick with JPG file for images and H.264 for videos, tap Most Compatible. Notifications Screen Is Now…Lock Screen? This one is confusing and maybe you won’t even notice it. So, you probably have Notifications that appear on your Lock screen. And if you were actively using your iPhone in the old days, you’d swipe down from the top to get to the Notifications screen. On iOS 11, if you swipe down from the top—you go to the Lock Screen…where the Notifications area. It’s a little weird, but Apple essentially just merged the two screens. What that means is, you swipe down to see all Notifications you’ve not yet cleared when your phone is unlocked. When your phone is unlocked, swipe up from the middle of the screen to see those notifications. One of the best new features hidden in iOS is Screen Recording. You can only access it one way: by adding the button to the Control Center in Settings > Control Center > Customize Controls, if it’s not already there. Swipe up to get Control Center, hit the round button, and you get a 3-second countdown to the iPhone recording all the moves you make on screen—you’ll be able to tell from the red banner at the top. It’s a perfect way to show off errors you’re experiencing or to show someone how to do something. The video is stored in Photos and shareable. Want audio with the recording? Use 3D Touch (or press it for a long time) and you’ll get an extra option to turn Microphone Audio On—this lets you do a narration as you record. Tap the red status bar to confirm it’s time to stop—all of which is also recorded. Trim your videos using the built-in tools to cut the beginning and end off of whatever you record, just to make it go faster. You can’t get rid of the red banner at the top, but some video-editing apps and programs can probably crop that out (along with your status bar at the top).